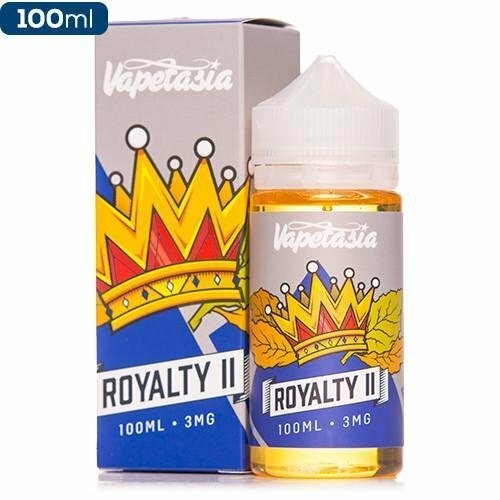 The taste of Vapetasia’s Royalty II reflects its luxurious title. This eJuice folds nutty notes into a creamy vanilla custard. The inhale begins with a subtle nutty taste beneath the vanilla start. The vanilla custard becomes more pronounced during the sweet & creamy finish that blends with a light tobacco taste.